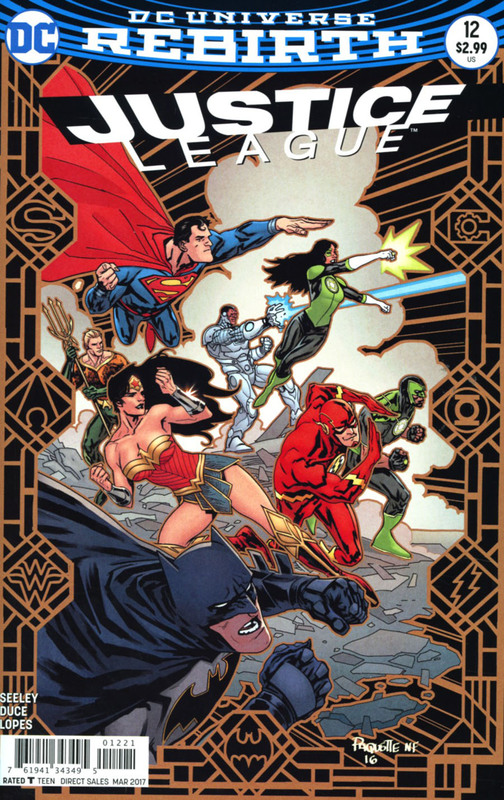 Story - 2: This issue was in conjunction with the Justice League vs. Suicide Squad crossover, that has the League playing second banana to the much more popular Squad. I don't find the crossover very entertaining, as it has too many caveats to allow the Squad equal footing, but at least... no, it was another waste of time and energy if you actually expected a story about the League, in a book that is struggling to compose even the slightest thing of potency about them. 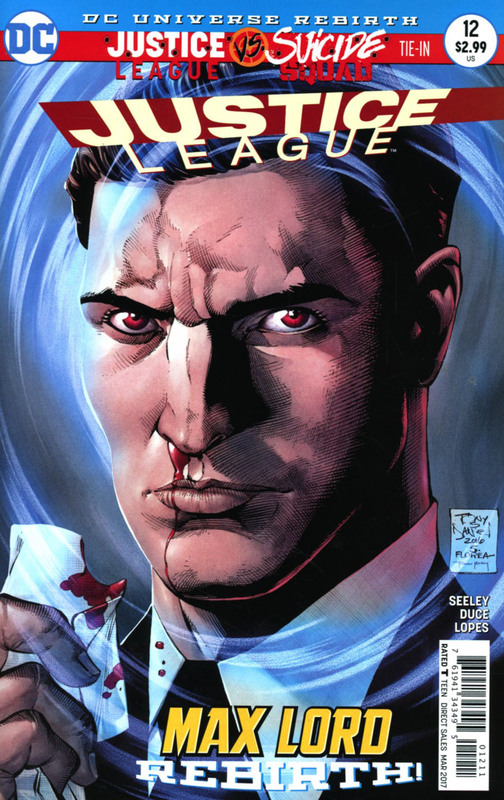 Art - 4: Seeing the blood drip from Lord's nose and knowing what that signifies made for a killer panel. Cover Art - 3: A close up like this only works if the artist can truly sell it. This looks like an amateur portrait composed by Washington Square Park's finest.